As a teenager visiting the Andy Warhol Museum, Beth Pickens realized the importance of making art. As an adult, she has dedicated her life to empowering working artists. 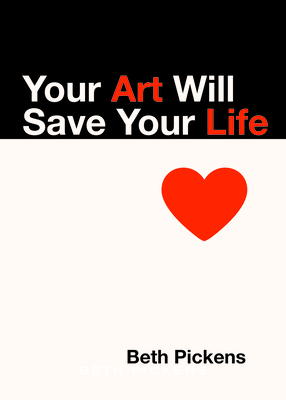 Intimate yet practical, Your Art Will Save Your Life helps artists build a sustainable practice while navigating the world of MFAs, residencies, and institutional funding. Beth Pickens is a Los Angeles-based consultant for artists and arts organizations. She provides career consultation, grant writing, fundraising, and financial, project, and strategic planning services for clients across the US. She earned her M.Ed. in Counseling Psychology from the University of Missouri-Columbia. Before relocating to Los Angeles in 2014, Pickens was based in San Francisco and served as Senior Program Manager at Yerba Buena Center for the Arts and Managing Director of both RADAR Productions and the Queer Cultural Center.